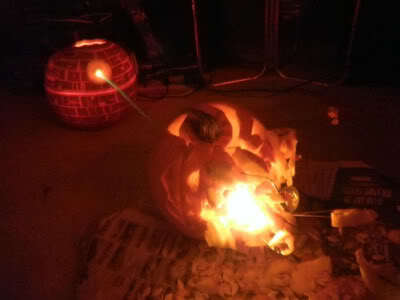 Now, witness the firepower of this fully armed and operational jack-o-lantern! This entry was posted in Holidays, Star Wars. Bookmark the permalink.